The Lair of Filth: Vassafor - Malediction - New Album Release Details and Track Stream. 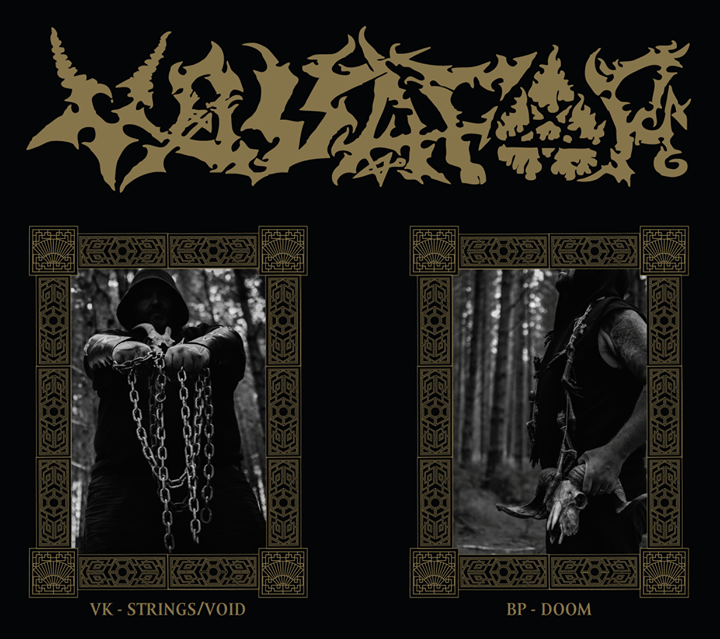 Vassafor - Malediction - New Album Release Details and Track Stream. 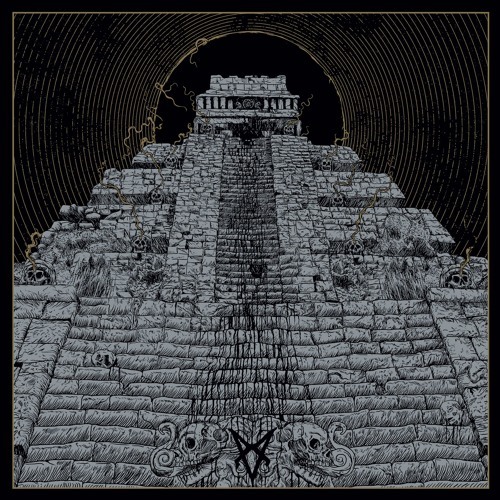 Vassafor are undoubtedly one of the underground's most important and prominent bands, a band that treated us to several releases during 2014 and 2015, yet since then their only output was a cover of MZ.412's track, 'Infernal Affairs II Doom Legion Ultra' which was included on the superb 2016 compilation 'Ancient Meat Revived - A Tribute to Cold Meat Industry' which was released by Nuclear War Now! Productions. The great news is Vassafor and Iron Bonehead Productions this week revealed details of Vassafor's highly anticipated new album, 'Malediction,' which will be released in October - read on for the full press release information, along with a new Vassafor track from the album. Iron Bonehead Productions sets October 13th as the international release date for Vassafor's massively anticipated second album, 'Malediction,' on vinyl LP and cassette tape formats, Debemur Morti Productions will be handling the CD version. Vassafor should need no introduction. For the past decade and a half, since the band's reactivation with their Demo II in 2005, this New Zealand cult have patiently plied their idiosyncratic craft, pushing the boundaries of black and death metal ever further whilst driving deep into each's collective core. In miniature, these works amplified the simultaneously world-eating/ethereal textures that lay at the heart of the Vassafor aesthetic. Simply put, 'Malediction' is a statement of intent. A purely Satanic album, in the band's eyes, and one which draws a line firmly in the sand, this is pure Southern Vassaforian Hell driven to the outer reaches of primitivism and transcendence. Here, Vassafor strip bare their most barbaric tendencies, down to their most unapologetic form, and build anew a temple of unimaginable might. The maw of chaos opens ever wide, beckoning the listener to submit and be devoured; meanwhile, tendrils of tension untether in a manner most ambient. If any of Vassafor's earlier work achieved a sense of vertigo - and it surely has - then 'Malediction' is the band's most potent distillation/distortion of such yet. Across a time-evaporating/halting 50 minutes, each of the five tracks comprising Malediction work as mantra and spell simultaneously. Doom(ier) elements are largely traded for utter violence and virulence, which somehow makes the end result all the more stultifying and psychedelic in equal measure. Black Metal of Death: Southern Vassaforian HELL. Armed with dreadnought decibels, Vassafor do the indoctrination - not the other way around. This is the Malediction you deserve. Begin the reckoning here with the aptly titled new track "Emergence (of an Unconquerable One)." 05 - Illumination of the Sinister. 'Malediction' by Vassafor will be released on the 13th of October by Iron Bonehead Productions and Debemur Morti Productions. Some previous Vassafor releases are available here from the Vassafor Bandcamp page. 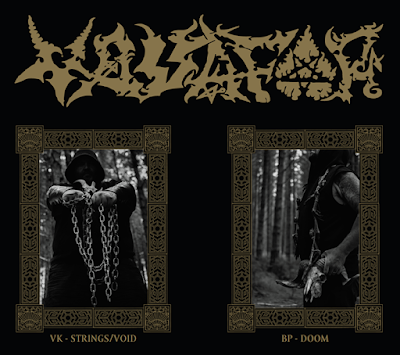 Several previous Vassafor releases are available here from Iron Bonehead Productions.